Painting of a rodeo bull for sale as art prints. This painting was a commission piece. 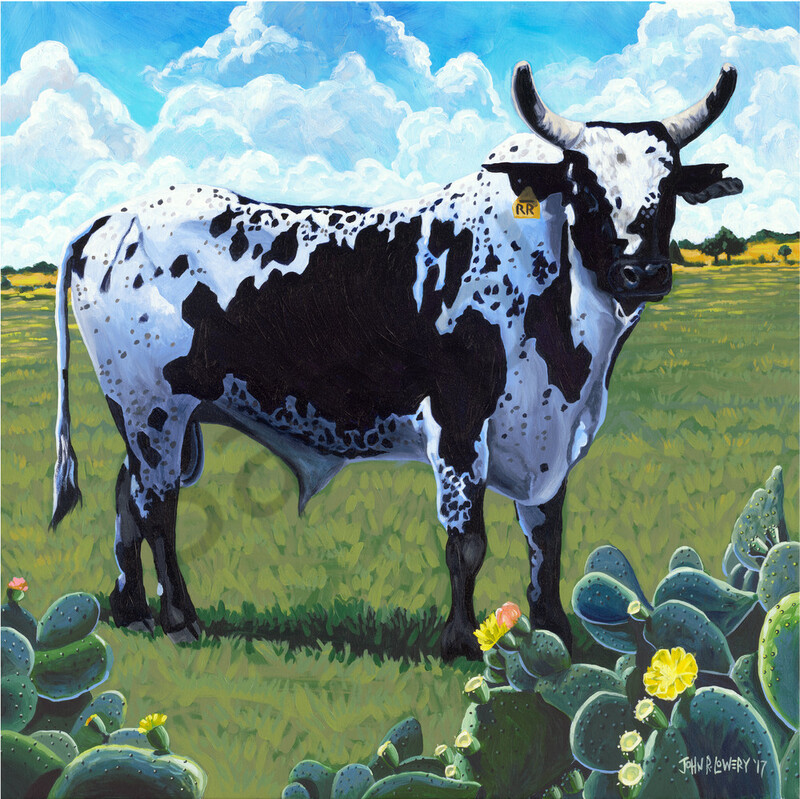 The owners wanted a painting of this magnificent rodeo bull on their land with a note to be sure to include cactus. I couldn't be happier with how it turned out. He's an incredible animal and I was proud to have the opportunity to paint him.